Many of our clients find themselves in the dilemma of buying first or selling first, and there is no universal answer. We hope this article will give you some clarity on the questions to ask yourself when the time comes for your next purchase or sale. Let’s assume the seller will not consider a ‘subject to sale’ offer… because if they will, go this route and don’t read any further. The negatives of a ‘subject to sale’ offer is that you could get bumped by another buyer, and in many cases a ‘subject to sale’ offer reduces your negotiating power as you’re not a ready to go ‘cash buyer’. Note that not all ‘subject to sale’ clauses written the same. The wording is crucial, and there are rare situations where you get bumped from a purchase (by another buyer) and end up selling your place anyway… call us to avoid this! To Buy or Sell first? The main items to consider are your personal risk tolerance, finances, the subject properties involved, and the market. 1) What is your risk tolerance? Will you sleep at night if you buy a property before having sold your own? If you buy first (and need to sell), you have to take whatever the market will bring. Plan conservatively. Make sure the purchase is feasible with a lower than expect sale price of your current property (maybe 5-10% below market). 2) How are your finances? Are you stretching yourself to make this purchase? or can you afford to carry two properties? 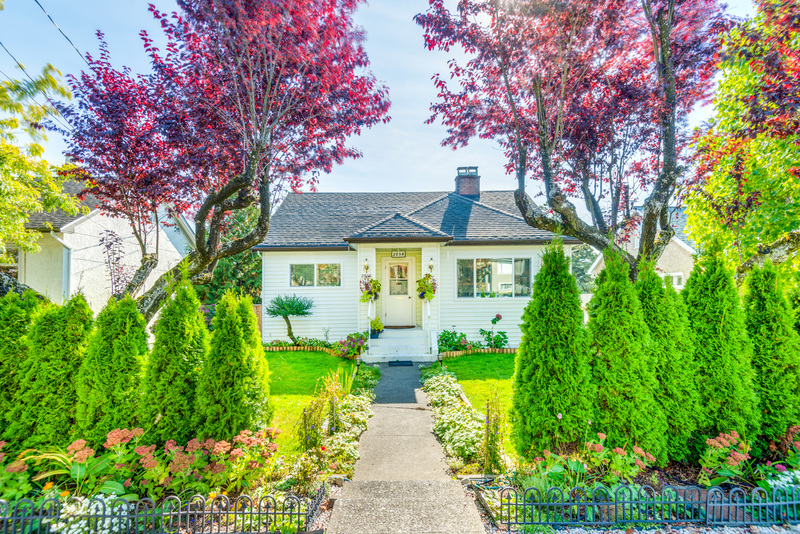 If you’re stretching yourself on the purchase and you require top dollar for the sale of your personal property, it may make sense to sell first so you know exactly how much you can afford. We don’t want you to lose your deposit by committing to a purchase that the banks won’t finance (more likely for up-sizers or first time ‘House’ buyers). However, if you’re downsizing and are financial able to support the carrying costs of owning two properties, than buy when the perfect property is available. 3) What are you buying? Is it rare? If you find yourself looking for a property that’s on a certain block, or maybe a penthouse condo, or waterfront property that rarely comes available, you may not have a choice but to buy first or lose the property. If the property type you’re looking for is readily available (or maybe you’re just not picky) and it’s just a matter of time before the next one comes up… it may be best to sell first and put yourself in a strong negotiating position. 4) What are you selling? Is it very desirable, or is difficult to sell? If you have a very desirable property that would sell quick, it may make sense to purchase first. Alternatively, if you have a fixer upper, luxury home or busy street home (anything with a negative or very limited buyer pool), it may make sense to sell first. 5) How is the market? Is it hot or cold? In the hot market we experienced in 2016 everything sold fast, and as a result our clients were often buying first. In a hot market, sales are more predictable and risks of buying first is much lower. If the market is cold, like we’re experiencing now (2019), it’s typically best to sell first unless you’re prepared to own two properties. – You know where you’re going and when your Completion date is. – Less likely to move twice. The challenge is to sell your place and match up the dates. – More financial risk, and potential loss of deposit (if you’re unable to sell current property). – You know exactly how much you’re getting for your property, and will have a clear budget for your purchase. – You may not find a suitable place to buy right away. Be prepared to find temporary accommodation and move twice. Watch the video below and subscribe to our Youtube channel for more VLOGS! House size: 2,356 Sq Ft. The location is key. The price point is also great for Point Grey and the homes shows rentability. This is great while waiting for the development permits. This home is in modest shape and there appears to be little to no large trees on the lot. Although the 1930’s age may require a large portion of the home to be recycled, roughly 75%+. The RS-1 zones have recently been allowed duplexes, but given the neighbourhood elevations, a single family home with a lane way home would be best suited for the neighbourhood. In addition, the RS-1 zone allows for up to 70% FSR buildable. Please refer to the building guidelines as every house design may not qualify for the density bonus from the 60% shown on the zoning plan. The finished buildable maxed out at 70% is over 2,800 Sq Ft.
Why I chose it: The location is key. It is nestled between Main and Cambie which are direct routes to downtown Vancouver. It is a few blocks over from one of the largest developments in Vancouver, Oakridge. The price may be a bit high but the location is great! House size: 2,425 Sq Ft. The location is key. This property sits a block away from the South Gate development, which is lead by Ledingham McAllister which will be 60 acres large and home to a new community. This home may be rezoned to higher density possibly two family infill housing. This will need to be verified with the city. The location is also a few blocks over from the Edmonds Skytrain station that is easy access to Vancouver and other parts of Metro Vancouver. House size: 2,775 Sq Ft.
House size: 2,191 Sq Ft.
Why I chose it: The location is key. It is in the heart of New Westminster. Easy walking distance to New Westminster Secondary, Moody Park and some restaurants. It is also off of 8th Street which gives access to the #1 highway. It is also on the North side of Dublin which is then high side of the suite and with the additional square footage allowable in the basement for NR1 makes this is a great purchase for a building property. Be wary that there is one large tree in the back. Although the city has tree bylaws, there may be a chance to replace the current tree.